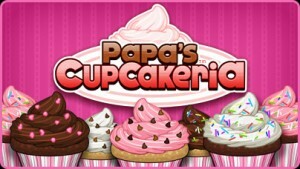 In the game of CupCake, Papa’s CupCakeria, James and his store sells Cupcakes in the winter, and promises a lot of guests to enjoy the cake. He needs your help, because there are so many orders coming, that he can not do everything. Will you help him? To get started, you’ll take orders from the guests, and based on what they describe, you’ll make the most of the cake, following the CupCake process. Then deliver the cake to them. If they feel good and satisfied, they will pay more for you.